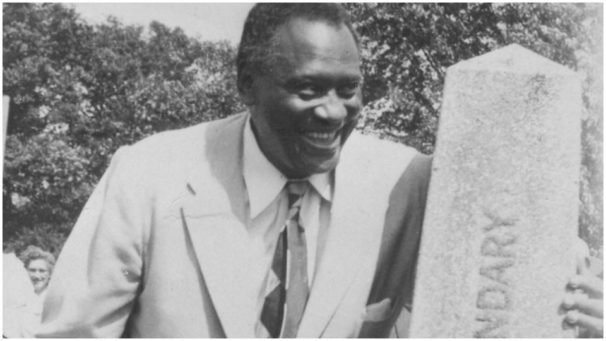 TORONTO—One of Dr. Gerald Horne’s latest volumes is Paul Robeson: The Artist as Revolutionary. I recently walked into the Parkdale Library in Toronto and saw a huge poster celebrating the great Robeson. April 9th marked the 120th birthday of Robeson—actor, athlete, political activist, and one of the greatest singers of all time. Thousands of words have been written about Robeson’s interpretation of Jerome Kern’s song, “Old Man River,” but little has been mentioned about his participation in a unique musical collaboration. In 1941, Robeson joined forces with Count Basie, Richard Wright, Jimmy Rushing, and John Hammond to record a song about the legendary Brown Bomber—Joe Louis. The lyrics of the song, “King Joe,” were written by Wright, the African-American novelist who wrote a book called Black Power in 1954. Hammond, who produced Bessie Smith and Bob Dylan, directed the session. Count Basie and his orchestra provided the music, and Robeson, who was singing the blues for the first time in his life, had blues shouter Jimmy Rushing stand by his side to beat time. Mr. Five by Five, as Rushing was known, was there to keep Robeson’s on the ONE. Robeson’s whole life was an item. 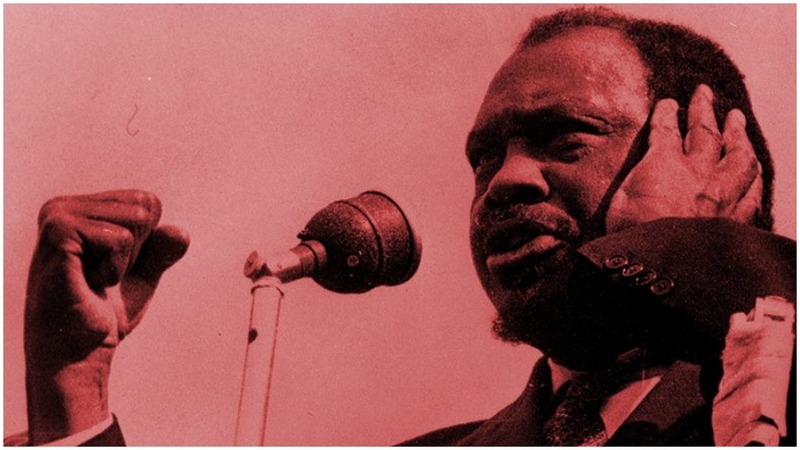 It has been argued that Robeson, who died in Philadelphia in 1976 at the age of 77, might have been elected president of the United States if he hadn’t been of African ancestry and if he had named the United States, not the Soviet Union, as the center of world freedom. It may sound far-fetched, but Robeson was qualified for the job at the White House. Besides possessing one of the world’s best bass voices and great athletic skill, Robeson was also a talented lawyer and debater. He had the looks of Harry Belafonte and the charisma of the Kennedy brothers. For 30 years, from the First World War until after the Second World War, Robeson’s extraordinary achievements kept him in the spotlight. First, he won national fame as a football superstar—the fabulous “Robeson of Rutgers,” an all-time All-American. Robeson was the third black to enroll at Rutgers University. On graduation, he entered Columbia University Law School, paying his expenses by playing professional football. Realizing there was little future in those days for a black lawyer, he made the stage and concert singing his career. He gained international renown as a concert singer and actor in starring roles on stage and screen. But the limelight was suddenly switched off. Robeson shocked the American establishment with his advocacy of the rights of African-Americans and his praise for the Soviet Union. 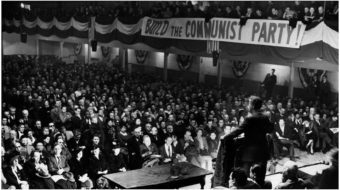 His constant involvement in human rights causes and left-wing movements led to his being branded a Communist. His passport was revoked by the U.S. State Department in 1950; he didn’t get it back until 1958. But the boycott of Robeson by the American establishment went further: All doors to stage, screen, concert hall, radio, TV, and recording studios were locked to him. Robeson saw his annual income plummet from $100,000 in 1947 to approximately $6,000 by 1952. Robeson was also known and loved in Canada. His first Toronto appearance was in November 1929. In 1942, a Toronto critic described Robeson as “the world’s greatest basso since Chaliapin.” On Sept. 25, 1944, he opened in Othello at the Royal Alexandra Theatre with Uta Hagen playing Desdemona and Jose Ferrer as Iago. Later appearances by Robeson in Toronto were often accompanied by controversy. Toronto’s Roy Thomson Hall, where Row R and a good section of Row P are named in honor of Paul Robeson. In a 1946 Massey Hall appearance, he spent half his time speaking about the plight of black people and the other half singing. That July, he joined striking Chrysler workers on the picket line in Windsor, Ontario. 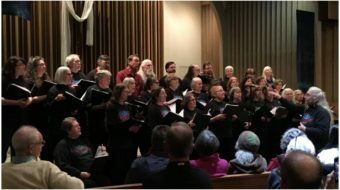 He urged them to persist until their demands were met and soothed the strikers with his bass voice. But this was not out of character for Robeson. “The hand of brotherhood…yes, I found that hand in Canada”—Robeson wrote that tribute to Canadians in the mid-50s. Robeson found brotherhood in Canada even after his death. 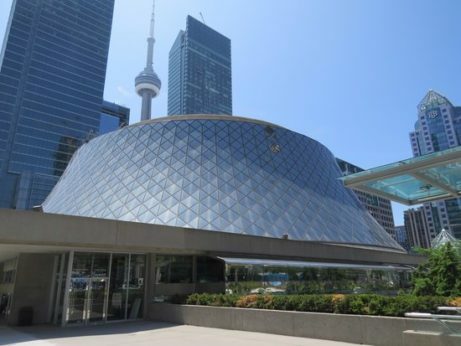 A group of Torontonians and others endowed a whole row of 60 seats at the city’s Roy Thomson Hall in his memory when it was built in 1981-82. Black stars Harry Belafonte, Lena Horne, James Earl Jones, and British politician Tony Benn were among the project’s sponsors. 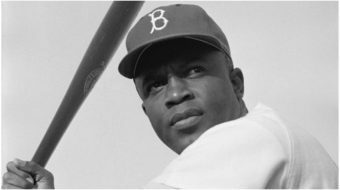 The campaign to raise $60,000 to contribute all the Row R seats in Robeson’s name was spearheaded by social worker Leslie Webber, a long-time fan. Toronto photographer Sylvia Schwartz, psychiatrist Granville da Costa, nurse Elizabeth Plummer, and the late Hazel Forbes, a one-time publicity director for the O’Keefe Centre, also served on the Row R Committee. 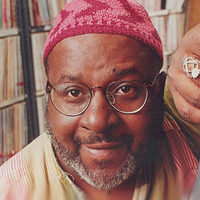 Norman Richmond, aka Jalali, produces the radio show "Diasporic Music," an All-African mix of music and politics.